Chevrolet Chevy Van - модельный ряд, комплектации, подробные технические характеристики по годам выпуска как новых, так и автомобилей с пробегом. Chevrolet Chevy Van 2.5 MT 3MT Fourgon 3MT 82 л.с. 1964 г. 1965 г.
Chevrolet Chevy Van 2.5 Powerglide 2AT Fourgon 2AT 82 л.с. 1964 г. 1965 г.
Chevrolet Chevy Van 3.2 MT 3MT Fourgon 3MT 95 л.с. 1964 г. 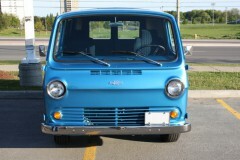 1966 г.
Chevrolet Chevy Van 3.2 MT 3MT Fourgon 3MT 95 л.с. 1965 г. 1966 г.
Chevrolet Chevy Van 3.2 Powerglide 2AT Fourgon 2AT 95 л.с. 1964 г. 1966 г.
Chevrolet Chevy Van 3.2 Powerglide 2AT Fourgon 2AT 95 л.с. 1965 г. 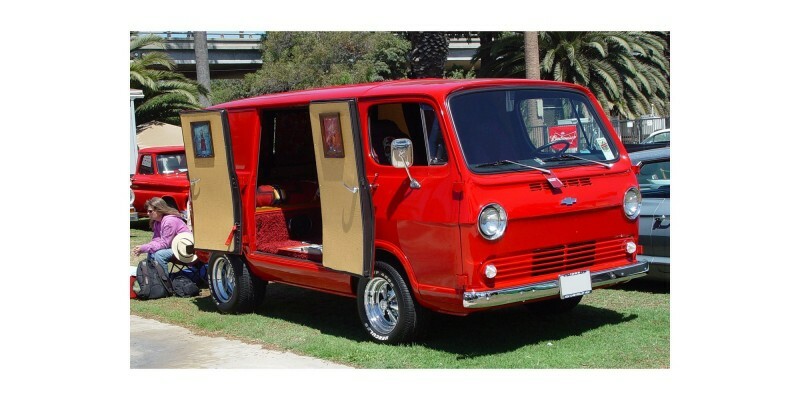 1966 г.
Chevrolet Chevy Van 3.8 3МТ G10 3MT Fourgon 3MT 115 л.с. 1967 г. 1969 г.
Chevrolet Chevy Van 3.8 3МТ G20 3MT Fourgon 3MT 115 л.с. 1967 г. 1969 г.
Chevrolet Chevy Van 3.8 4МТ G10 4MT Fourgon 4MT 115 л.с. 1968 г. 1969 г.
Chevrolet Chevy Van 3.8 4МТ G20 4MT Fourgon 4MT 115 л.с. 1968 г. 1969 г.
Chevrolet Chevy Van 3.8 MT 3MT Fourgon 3MT 115 л.с. 1965 г. 1966 г.
Chevrolet Chevy Van 3.8 Powerglide 2AT Fourgon 2AT 115 л.с. 1965 г. 1966 г.
Chevrolet Chevy Van 3.8 Powerglide G10 2AT Fourgon 2AT 115 л.с. 1967 г. 1969 г.
Chevrolet Chevy Van 3.8 Powerglide G20 2AT Fourgon 2AT 115 л.с. 1967 г. 1969 г.
Chevrolet Chevy Van 3.8 Turbo Hydra-matic G10 3AT Fourgon 3AT 115 л.с. 1969 г. 1969 г.
Chevrolet Chevy Van 3.8 Turbo Hydra-matic G20 3AT Fourgon 3AT 115 л.с. 1969 г. 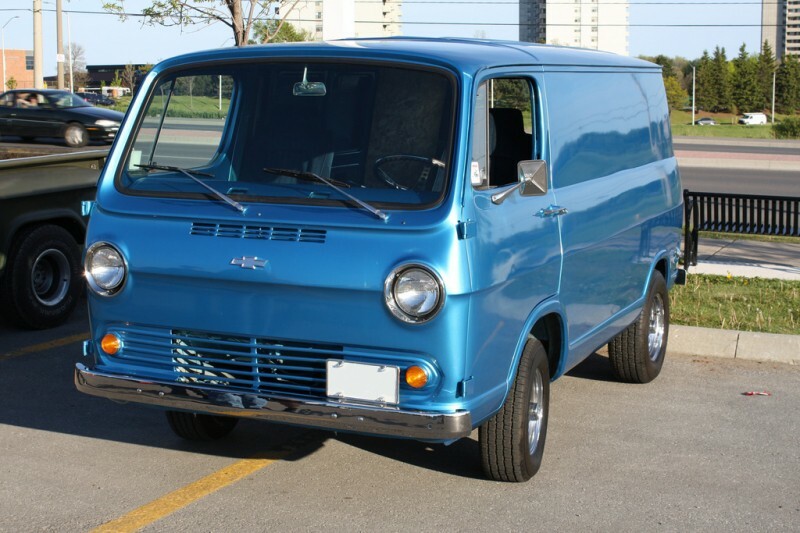 1969 г.
Chevrolet Chevy Van 4.1 3МТ G10 3MT Fourgon 3MT 125 л.с. 1967 г. 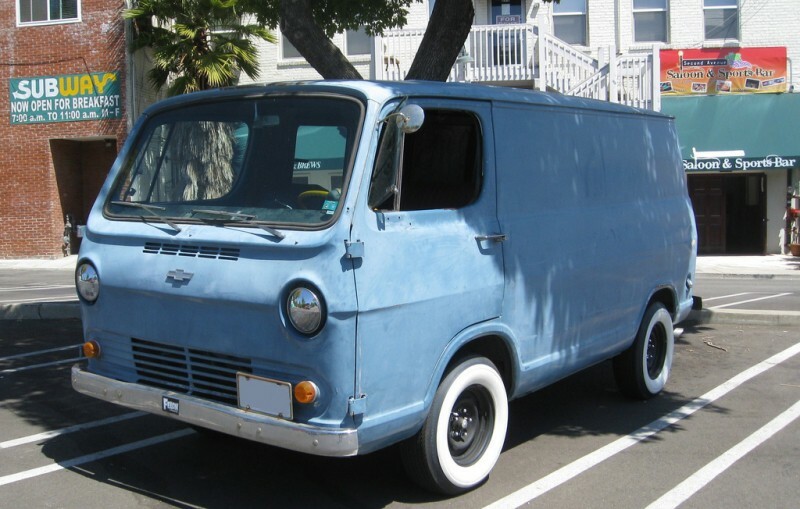 1970 г.
Chevrolet Chevy Van 4.1 3МТ G20 3MT Fourgon 3MT 125 л.с. 1967 г. 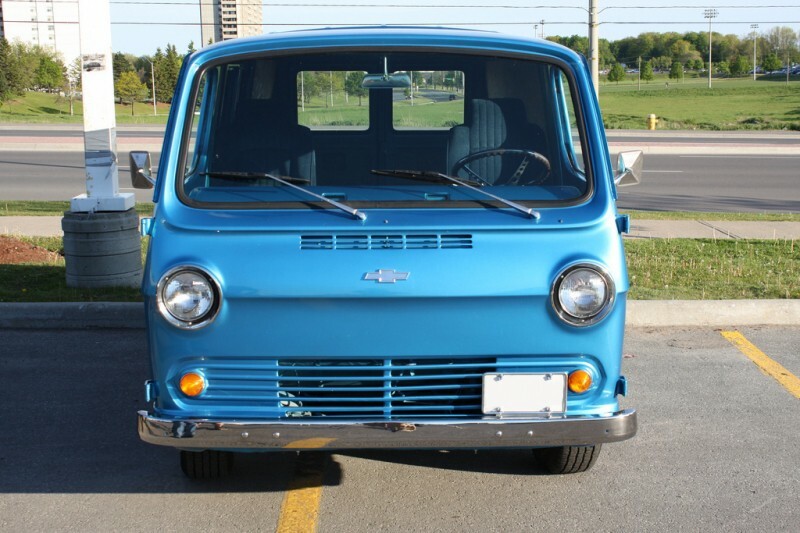 1970 г.
Chevrolet Chevy Van 4.1 4МТ G10 4MT Fourgon 4MT 125 л.с. 1968 г. 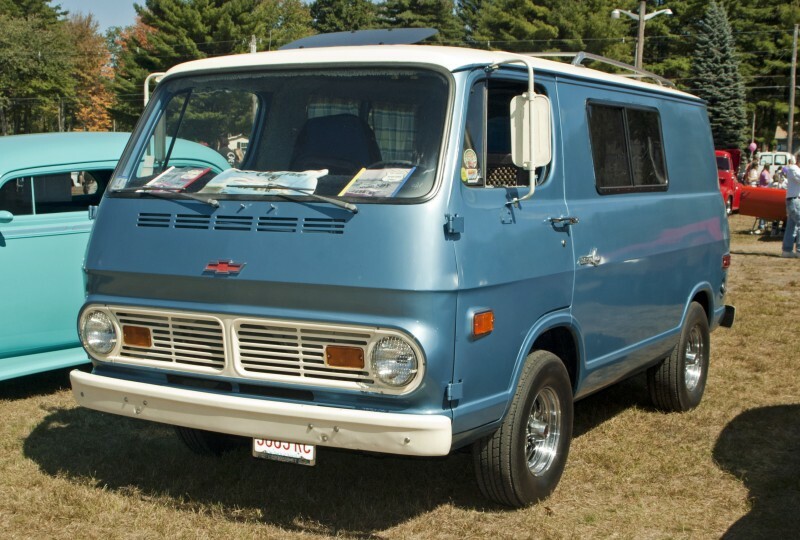 1970 г.
Chevrolet Chevy Van 4.1 4МТ G20 4MT Fourgon 4MT 125 л.с. 1968 г. 1970 г.
Chevrolet Chevy Van 4.1 AT G10 3AT Fourgon 3AT 115 л.с. 1978 г. 1979 г.
Chevrolet Chevy Van 4.1 AT G10 3AT Fourgon 3AT 115 л.с. 1980 г. 1982 г.
Chevrolet Chevy Van 4.1 AT G10 3AT Fourgon 3AT 130 л.с. 1980 г. 1982 г.
Chevrolet Chevy Van 4.1 AT G10 3AT Fourgon 3AT 115 л.с. 1983 г. 1985 г.
Chevrolet Chevy Van 4.1 AT G10 LWB 3AT Fourgon 3AT 115 л.с. 1978 г. 1979 г.
Chevrolet Chevy Van 4.1 AT G10 LWB 3AT Fourgon 3AT 115 л.с. 1980 г. 1982 г.
Chevrolet Chevy Van 4.1 AT G10 LWB 3AT Fourgon 3AT 130 л.с. 1980 г. 1982 г.
Chevrolet Chevy Van 4.1 AT G10 LWB 3AT Fourgon 3AT 115 л.с. 1983 г. 1985 г.
Chevrolet Chevy Van 4.1 AT G20 3AT Fourgon 3AT 115 л.с. 1980 г. 1982 г.
Chevrolet Chevy Van 4.1 AT G20 3AT Fourgon 3AT 130 л.с. 1980 г. 1982 г.
Chevrolet Chevy Van 4.1 AT G20 3AT Fourgon 3AT 115 л.с. 1983 г. 1985 г.
Chevrolet Chevy Van 4.1 AT G20 LWB 3AT Fourgon 3AT 115 л.с. 1980 г. 1982 г.
Chevrolet Chevy Van 4.1 AT G20 LWB 3AT Fourgon 3AT 130 л.с. 1980 г. 1982 г.
Chevrolet Chevy Van 4.1 AT G30 3AT Fourgon 3AT 130 л.с. 1980 г. 1982 г.
Chevrolet Chevy Van 4.1 AT Overdrive G10 4AT Fourgon 4AT 115 л.с. 1983 г. 1985 г.
Chevrolet Chevy Van 4.1 AT Overdrive G10 LWB 4AT Fourgon 4AT 115 л.с. 1983 г. 1985 г.
Chevrolet Chevy Van 4.1 AT Overdrive G20 4AT Fourgon 4AT 115 л.с. 1983 г. 1985 г.
Chevrolet Chevy Van 4.1 MT G10 3MT Fourgon 3MT 110 л.с. 1973 г. 1977 г.
Chevrolet Chevy Van 4.1 MT G10 3MT Fourgon 3MT 115 л.с. 1978 г. 1979 г.
Chevrolet Chevy Van 4.1 MT G10 3MT Fourgon 3MT 115 л.с. 1980 г. 1982 г.
Chevrolet Chevy Van 4.1 MT G10 3MT Fourgon 3MT 130 л.с. 1980 г. 1982 г.
Chevrolet Chevy Van 4.1 MT G10 3MT Fourgon 3MT 115 л.с. 1983 г. 1985 г.
Chevrolet Chevy Van 4.1 MT G10 LWB 3MT Fourgon 3MT 110 л.с. 1973 г. 1977 г.
Chevrolet Chevy Van 4.1 MT G10 LWB 3MT Fourgon 3MT 115 л.с. 1978 г. 1979 г.
Chevrolet Chevy Van 4.1 MT G10 LWB 3MT Fourgon 3MT 115 л.с. 1980 г. 1982 г.
Chevrolet Chevy Van 4.1 MT G10 LWB 3MT Fourgon 3MT 130 л.с. 1980 г. 1982 г.
Chevrolet Chevy Van 4.1 MT G10 LWB 3MT Fourgon 3MT 115 л.с. 1983 г. 1985 г.
Chevrolet Chevy Van 4.1 MT G20 3MT Fourgon 3MT 110 л.с. 1973 г. 1974 г.
Chevrolet Chevy Van 4.1 MT G20 3MT Fourgon 3MT 115 л.с. 1980 г. 1982 г.
Chevrolet Chevy Van 4.1 MT G20 3MT Fourgon 3MT 130 л.с. 1980 г. 1982 г.
Chevrolet Chevy Van 4.1 MT G20 3MT Fourgon 3MT 115 л.с. 1983 г. 1985 г.
Chevrolet Chevy Van 4.1 MT G20 LWB 3MT Fourgon 3MT 110 л.с. 1973 г. 1974 г.
Chevrolet Chevy Van 4.1 MT G20 LWB 3MT Fourgon 3MT 115 л.с. 1980 г. 1982 г.
Chevrolet Chevy Van 4.1 MT G20 LWB 3MT Fourgon 3MT 130 л.с. 1980 г. 1982 г.
Chevrolet Chevy Van 4.1 MT G30 3MT Fourgon 3MT 110 л.с. 1973 г. 1974 г.
Chevrolet Chevy Van 4.1 MT G30 3MT Fourgon 3MT 130 л.с. 1980 г. 1982 г.
Chevrolet Chevy Van 4.1 MT G30 LWB 3MT Fourgon 3MT 110 л.с. 1973 г. 1974 г.
Chevrolet Chevy Van 4.1 MT Overdrive G20 LWB 4MT Fourgon 4MT 115 л.с. 1983 г. 1985 г.
Chevrolet Chevy Van 4.1 MT Overdrive G10 4MT Fourgon 4MT 115 л.с. 1983 г. 1985 г.
Chevrolet Chevy Van 4.1 MT Overdrive G10 LWB 4MT Fourgon 4MT 115 л.с. 1983 г. 1985 г.
Chevrolet Chevy Van 4.1 MT Overdrive G20 4MT Fourgon 4MT 115 л.с. 1983 г. 1985 г.
Chevrolet Chevy Van 4.1 Powerglide G10 2AT Fourgon 2AT 125 л.с. 1967 г. 1970 г.
Chevrolet Chevy Van 4.1 Powerglide G20 2AT Fourgon 2AT 125 л.с. 1967 г. 1970 г.
Chevrolet Chevy Van 4.1 Powerglide G20 2AT Fourgon 2AT 125 л.с. 1969 г. 1970 г.
Chevrolet Chevy Van 4.1 Turbo Hydra-matic G10 3AT Fourgon 3AT 125 л.с. 1969 г. 1970 г.
Chevrolet Chevy Van 4.1 Turbo Hydra-matic G10 3AT Fourgon 3AT 110 л.с. 1973 г. 1977 г.
Chevrolet Chevy Van 4.1 Turbo Hydra-matic G10 LWB 3AT Fourgon 3AT 110 л.с. 1973 г. 1977 г.
Chevrolet Chevy Van 4.1 Turbo Hydra-matic G20 3AT Fourgon 3AT 125 л.с. 1969 г. 1970 г.
Chevrolet Chevy Van 4.1 Turbo Hydra-matic G20 3AT Fourgon 3AT 110 л.с. 1973 г. 1974 г.
Chevrolet Chevy Van 4.1 Turbo Hydra-matic G20 LWB 3AT Fourgon 3AT 110 л.с. 1973 г. 1974 г.
Chevrolet Chevy Van 4.1 Turbo Hydra-matic G30 3AT Fourgon 3AT 110 л.с. 1973 г. 1974 г.
Chevrolet Chevy Van 4.1 Turbo Hydra-matic G30 LWB 3AT Fourgon 3AT 110 л.с. 1973 г. 1974 г.
Chevrolet Chevy Van 4.3 AT G10 3AT Fourgon 3AT 150 л.с. 1986 г. 1989 г.
Chevrolet Chevy Van 4.3 AT G10 LWB 3AT Fourgon 3AT 150 л.с. 1986 г. 1989 г.
Chevrolet Chevy Van 4.3 AT G20 3AT Fourgon 3AT 150 л.с. 1986 г. 1989 г.
Chevrolet Chevy Van 4.3 AT G20 LWB 3AT Fourgon 3AT 150 л.с. 1986 г. 1989 г.
Chevrolet Chevy Van 4.3 AT Overdrive G10 4AT Fourgon 4AT 150 л.с. 1986 г. 1991 г.
Chevrolet Chevy Van 4.3 AT Overdrive G10 4AT Fourgon 4AT 155 л.с. 1992 г. 1995 г.
Chevrolet Chevy Van 4.3 AT Overdrive G10 4AT Fourgon 4AT 155 л.с. 1992 г. 1996 г.
Chevrolet Chevy Van 4.3 AT Overdrive G10 LWB 4AT Fourgon 4AT 150 л.с. 1986 г. 1991 г.
Chevrolet Chevy Van 4.3 AT Overdrive G10 LWB 4AT Fourgon 4AT 155 л.с. 1992 г. 1995 г.
Chevrolet Chevy Van 4.3 AT Overdrive G10 LWB 4AT Fourgon 4AT 155 л.с. 1992 г. 1996 г.
Chevrolet Chevy Van 4.3 AT Overdrive G20 4AT Fourgon 4AT 150 л.с. 1986 г. 1991 г.
Chevrolet Chevy Van 4.3 AT Overdrive G20 4AT Fourgon 4AT 155 л.с. 1992 г. 1995 г.
Chevrolet Chevy Van 4.3 AT Overdrive G20 4AT Fourgon 4AT 155 л.с. 1992 г. 1996 г.
Chevrolet Chevy Van 4.3 AT Overdrive G20 LWB 4AT Fourgon 4AT 155 л.с. 1992 г. 1995 г.
Chevrolet Chevy Van 4.3 AT Overdrive G30 4AT Fourgon 4AT 150 л.с. 1986 г. 1991 г.
Chevrolet Chevy Van 4.3 AT Overdrive G30 4AT Fourgon 4AT 155 л.с. 1992 г. 1995 г.
Chevrolet Chevy Van 4.3 MT G10 3MT Fourgon 3MT 150 л.с. 1986 г. 1989 г.
Chevrolet Chevy Van 4.3 MT G10 4MT Fourgon 4MT 150 л.с. 1986 г. 1989 г.
Chevrolet Chevy Van 4.3 MT G10 LWB 3MT Fourgon 3MT 150 л.с. 1986 г. 1989 г.
Chevrolet Chevy Van 4.3 MT G20 3MT Fourgon 3MT 150 л.с. 1986 г. 1989 г.
Chevrolet Chevy Van 4.3 MT Overdrive G10 LWB 4MT Fourgon 4MT 150 л.с. 1986 г. 1989 г.
Chevrolet Chevy Van 4.3 MT Overdrive G20 4MT Fourgon 4MT 150 л.с. 1986 г. 1989 г.
Chevrolet Chevy Van 4.6 3МТ G10 3MT Fourgon 3MT 140 л.с. 1967 г. 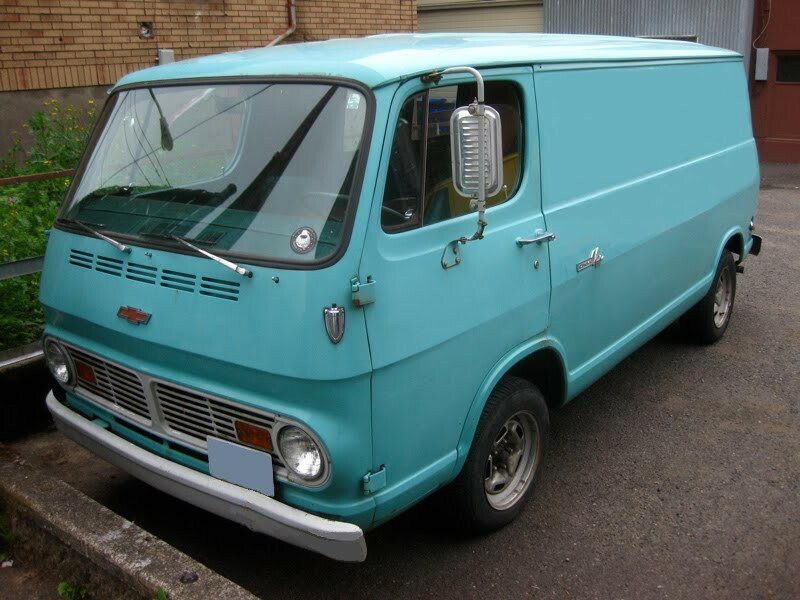 1968 г.
Chevrolet Chevy Van 4.6 3МТ G20 3MT Fourgon 3MT 140 л.с. 1967 г. 1968 г.
Chevrolet Chevy Van 4.6 Powerglide G10 2AT Fourgon 2AT 140 л.с. 1967 г. 1968 г.
Chevrolet Chevy Van 4.6 Powerglide G20 2AT Fourgon 2AT 140 л.с. 1967 г. 1968 г.
Chevrolet Chevy Van 4.8 AT G20 3AT Fourgon 3AT 120 л.с. 1978 г. 1979 г.
Chevrolet Chevy Van 4.8 AT G20 LWB 3AT Fourgon 3AT 120 л.с. 1978 г. 1979 г.
Chevrolet Chevy Van 4.8 AT G30 3AT Fourgon 3AT 120 л.с. 1978 г. 1979 г.
Chevrolet Chevy Van 4.8 MT G20 3MT Fourgon 3MT 125 л.с. 1975 г. 1977 г.
Chevrolet Chevy Van 4.8 MT G20 3MT Fourgon 3MT 120 л.с. 1978 г. 1979 г.
Chevrolet Chevy Van 4.8 MT G20 LWB 3MT Fourgon 3MT 125 л.с. 1975 г. 1977 г.
Chevrolet Chevy Van 4.8 MT G20 LWB 3MT Fourgon 3MT 120 л.с. 1978 г. 1979 г.
Chevrolet Chevy Van 4.8 MT G30 3MT Fourgon 3MT 125 л.с. 1975 г. 1977 г.
Chevrolet Chevy Van 4.8 MT G30 3MT Fourgon 3MT 120 л.с. 1978 г. 1979 г.
Chevrolet Chevy Van 4.8 MT G30 3MT Fourgon 3MT 165 л.с. 1980 г. 1982 г.
Chevrolet Chevy Van 4.8 Turbo Hydra-matic G20 3AT Fourgon 3AT 125 л.с. 1975 г. 1977 г.
Chevrolet Chevy Van 4.8 Turbo Hydra-matic G20 LWB 3AT Fourgon 3AT 125 л.с. 1975 г. 1977 г.
Chevrolet Chevy Van 4.8 Turbo Hydra-matic G30 3AT Fourgon 3AT 125 л.с. 1975 г. 1977 г.
Chevrolet Chevy Van 5.0 3МТ G10 3MT Fourgon 3MT 150 л.с. 1968 г. 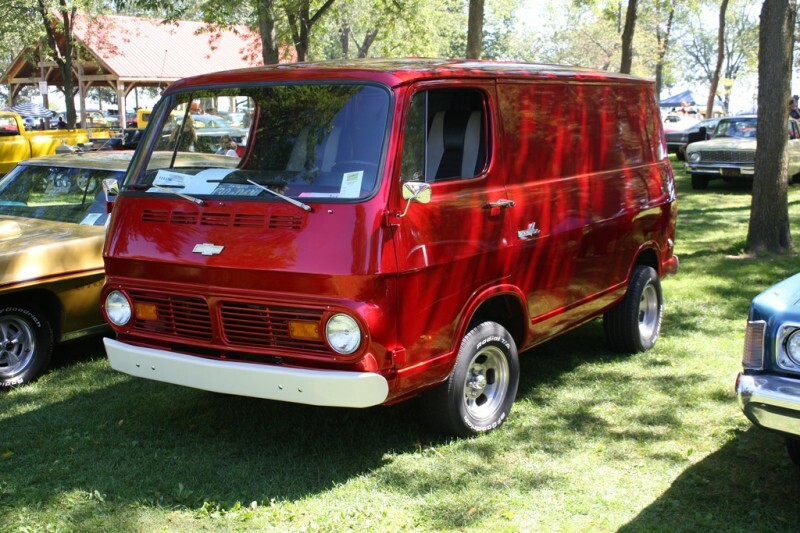 1970 г.
Chevrolet Chevy Van 5.0 3МТ G20 3MT Fourgon 3MT 150 л.с. 1968 г. 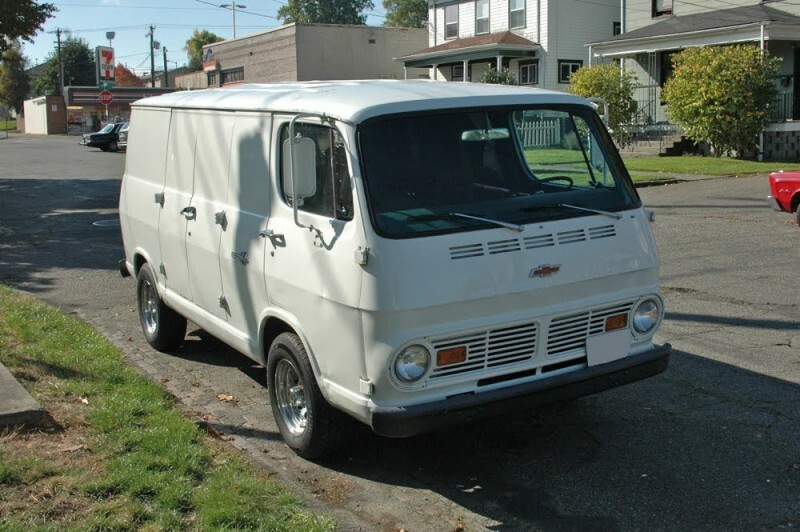 1970 г.
Chevrolet Chevy Van 5.0 4МТ G10 4MT Fourgon 4MT 150 л.с. 1968 г. 1970 г.
Chevrolet Chevy Van 5.0 4МТ G20 4MT Fourgon 4MT 150 л.с. 1968 г. 1970 г.
Chevrolet Chevy Van 5.0 AT G10 3AT Fourgon 3AT 145 л.с. 1978 г. 1979 г.
Chevrolet Chevy Van 5.0 AT G10 3AT Fourgon 3AT 135 л.с. 1980 г. 1982 г.
Chevrolet Chevy Van 5.0 AT G10 3AT Fourgon 3AT 160 л.с. 1980 г. 1982 г.
Chevrolet Chevy Van 5.0 AT G10 3AT Fourgon 3AT 160 л.с. 1983 г. 1986 г.
Chevrolet Chevy Van 5.0 AT G10 3AT Fourgon 3AT 170 л.с. 1987 г. 1991 г.
Chevrolet Chevy Van 5.0 AT G10 LWB 3AT Fourgon 3AT 135 л.с. 1980 г. 1982 г.
Chevrolet Chevy Van 5.0 AT G10 LWB 3AT Fourgon 3AT 160 л.с. 1980 г. 1982 г.
Chevrolet Chevy Van 5.0 AT G10 LWB 3AT Fourgon 3AT 160 л.с. 1983 г. 1986 г.
Chevrolet Chevy Van 5.0 AT G10 LWB 3AT Fourgon 3AT 170 л.с. 1987 г. 1991 г.
Chevrolet Chevy Van 5.0 AT G20 3AT Fourgon 3AT 135 л.с. 1980 г. 1982 г.
Chevrolet Chevy Van 5.0 AT G20 3AT Fourgon 3AT 160 л.с. 1980 г. 1982 г.
Chevrolet Chevy Van 5.0 AT G20 3AT Fourgon 3AT 160 л.с. 1983 г. 1986 г.
Chevrolet Chevy Van 5.0 AT G20 3AT Fourgon 3AT 170 л.с. 1987 г. 1991 г.
Chevrolet Chevy Van 5.0 AT G20 LWB 3AT Fourgon 3AT 135 л.с. 1980 г. 1982 г.
Chevrolet Chevy Van 5.0 AT G20 LWB 3AT Fourgon 3AT 160 л.с. 1980 г. 1982 г.
Chevrolet Chevy Van 5.0 AT G30 3AT Fourgon 3AT 135 л.с. 1980 г. 1982 г.
Chevrolet Chevy Van 5.0 AT Overdrive G10 4AT Fourgon 4AT 160 л.с. 1983 г. 1986 г.
Chevrolet Chevy Van 5.0 AT Overdrive G10 4AT Fourgon 4AT 170 л.с. 1987 г. 1991 г.
Chevrolet Chevy Van 5.0 AT Overdrive G10 4AT Fourgon 4AT 170 л.с. 1992 г. 1995 г.
Chevrolet Chevy Van 5.0 AT Overdrive G10 4AT Fourgon 4AT 170 л.с. 1992 г. 1996 г.
Chevrolet Chevy Van 5.0 AT Overdrive G10 LWB 4AT Fourgon 4AT 160 л.с. 1983 г. 1986 г.
Chevrolet Chevy Van 5.0 AT Overdrive G10 LWB 4AT Fourgon 4AT 170 л.с. 1987 г. 1991 г.
Chevrolet Chevy Van 5.0 AT Overdrive G10 LWB 4AT Fourgon 4AT 170 л.с. 1992 г. 1995 г.
Chevrolet Chevy Van 5.0 AT Overdrive G10 LWB 4AT Fourgon 4AT 170 л.с. 1992 г. 1996 г.
Chevrolet Chevy Van 5.0 AT Overdrive G20 4AT Fourgon 4AT 160 л.с. 1983 г. 1986 г.
Chevrolet Chevy Van 5.0 AT Overdrive G20 4AT Fourgon 4AT 170 л.с. 1987 г. 1991 г.
Chevrolet Chevy Van 5.0 AT Overdrive G20 4AT Fourgon 4AT 170 л.с. 1992 г. 1995 г.
Chevrolet Chevy Van 5.0 AT Overdrive G20 4AT Fourgon 4AT 170 л.с. 1992 г. 1996 г.
Chevrolet Chevy Van 5.0 AT Overdrive G20 LWB 4AT Fourgon 4AT 170 л.с. 1992 г. 1995 г.
Chevrolet Chevy Van 5.0 MT G20 LWB 3MT Fourgon 3MT 135 л.с. 1980 г. 1982 г.
Chevrolet Chevy Van 5.0 MT G10 3MT Fourgon 3MT 135 л.с. 1973 г. 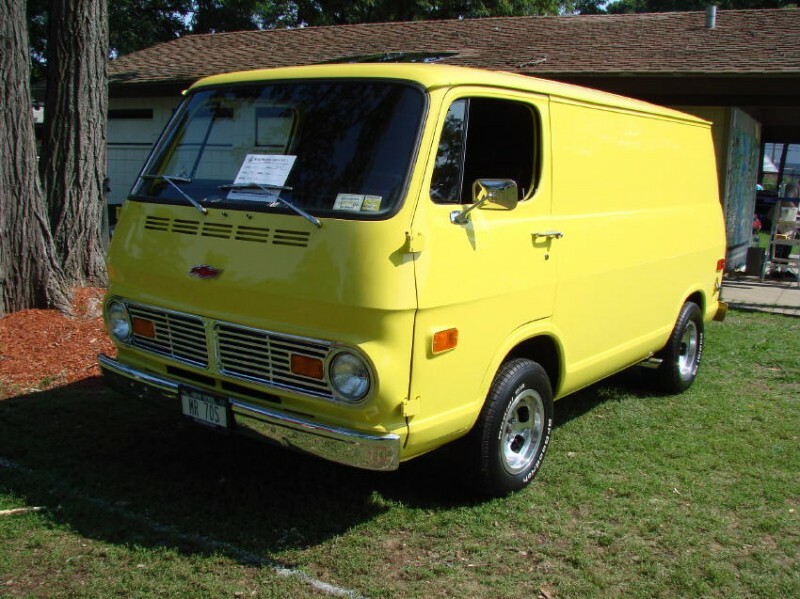 1973 г.
Chevrolet Chevy Van 5.0 MT G10 3MT Fourgon 3MT 145 л.с. 1978 г. 1979 г.
Chevrolet Chevy Van 5.0 MT G10 3MT Fourgon 3MT 135 л.с. 1980 г. 1982 г.
Chevrolet Chevy Van 5.0 MT G10 3MT Fourgon 3MT 160 л.с. 1980 г. 1982 г.
Chevrolet Chevy Van 5.0 MT G10 3MT Fourgon 3MT 160 л.с. 1983 г. 1986 г.
Chevrolet Chevy Van 5.0 MT G10 3MT Fourgon 3MT 170 л.с. 1987 г. 1991 г.
Chevrolet Chevy Van 5.0 MT G10 LWB 3MT Fourgon 3MT 135 л.с. 1973 г. 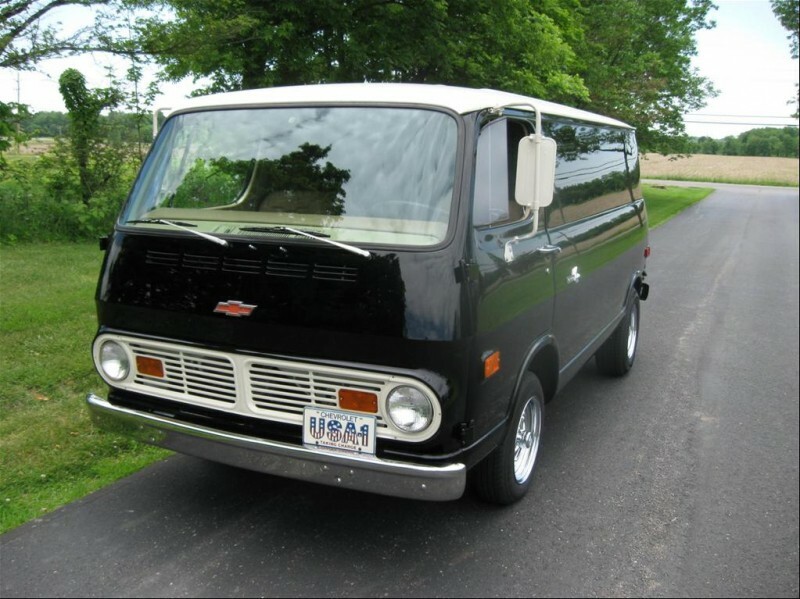 1973 г.
Chevrolet Chevy Van 5.0 MT G10 LWB 3MT Fourgon 3MT 135 л.с. 1980 г. 1982 г.
Chevrolet Chevy Van 5.0 MT G10 LWB 3MT Fourgon 3MT 160 л.с. 1980 г. 1982 г.
Chevrolet Chevy Van 5.0 MT G10 LWB 3MT Fourgon 3MT 170 л.с. 1987 г. 1991 г.
Chevrolet Chevy Van 5.0 MT G20 3MT Fourgon 3MT 135 л.с. 1980 г. 1982 г.
Chevrolet Chevy Van 5.0 MT G20 3MT Fourgon 3MT 160 л.с. 1980 г. 1982 г.
Chevrolet Chevy Van 5.0 MT G20 3MT Fourgon 3MT 160 л.с. 1983 г. 1986 г.
Chevrolet Chevy Van 5.0 MT G20 3MT Fourgon 3MT 170 л.с. 1987 г. 1991 г.
Chevrolet Chevy Van 5.0 MT G20 LWB 3MT Fourgon 3MT 160 л.с. 1980 г. 1982 г.
Chevrolet Chevy Van 5.0 MT G20 LWB 3MT Fourgon 3MT 160 л.с. 1983 г. 1986 г.
Chevrolet Chevy Van 5.0 MT G20 LWB 3MT Fourgon 3MT 170 л.с. 1987 г. 1991 г.
Chevrolet Chevy Van 5.0 MT G30 3MT Fourgon 3MT 135 л.с. 1980 г. 1982 г.
Chevrolet Chevy Van 5.0 MT Overdrive G10 4MT Fourgon 4MT 160 л.с. 1983 г. 1986 г.
Chevrolet Chevy Van 5.0 MT Overdrive G10 4MT Fourgon 4MT 170 л.с. 1987 г. 1989 г.
Chevrolet Chevy Van 5.0 MT Overdrive G10 LWB 4MT Fourgon 4MT 160 л.с. 1983 г. 1986 г.
Chevrolet Chevy Van 5.0 MT Overdrive G10 LWB 4MT Fourgon 4MT 170 л.с. 1987 г. 1991 г.
Chevrolet Chevy Van 5.0 MT Overdrive G20 4MT Fourgon 4MT 160 л.с. 1983 г. 1986 г.
Chevrolet Chevy Van 5.0 MT Overdrive G20 4MT Fourgon 4MT 170 л.с. 1987 г. 1989 г.
Chevrolet Chevy Van 5.0 MT Overdrive G20 4MT Fourgon 4MT 170 л.с. 1987 г. 1991 г.
Chevrolet Chevy Van 5.0 Powerglide G10 2AT Fourgon 2AT 150 л.с. 1968 г. 1970 г.
Chevrolet Chevy Van 5.0 Powerglide G20 2AT Fourgon 2AT 150 л.с. 1968 г. 1970 г.
Chevrolet Chevy Van 5.0 Turbo Hydra-matic G10 2AT Fourgon 2AT 150 л.с. 1969 г. 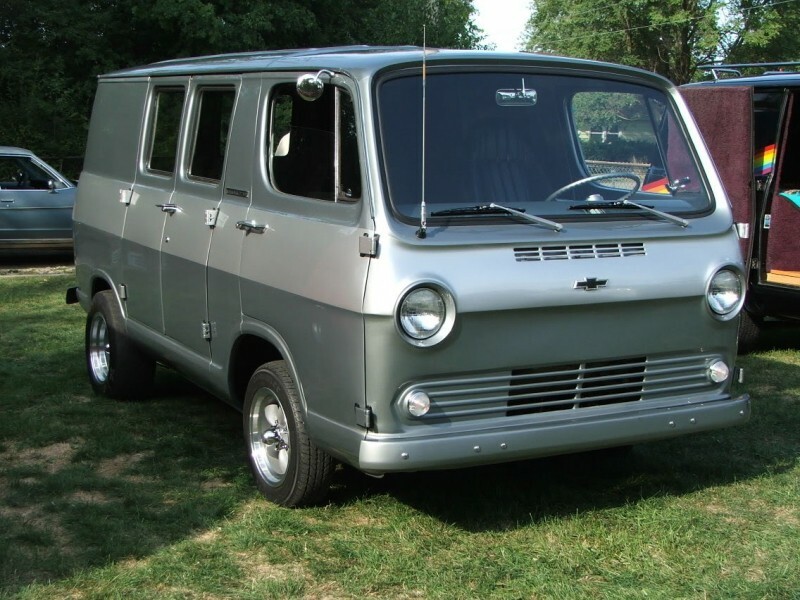 1970 г.
Chevrolet Chevy Van 5.0 Turbo Hydra-matic G10 3AT Fourgon 3AT 150 л.с. 1969 г. 1970 г.
Chevrolet Chevy Van 5.0 Turbo Hydra-matic G10 3AT Fourgon 3AT 135 л.с. 1973 г. 1973 г.
Chevrolet Chevy Van 5.0 Turbo Hydra-matic G10 LWB 3AT Fourgon 3AT 135 л.с. 1973 г. 1973 г.
Chevrolet Chevy Van 5.0 Turbo Hydra-matic G20 3AT Fourgon 3AT 150 л.с. 1969 г. 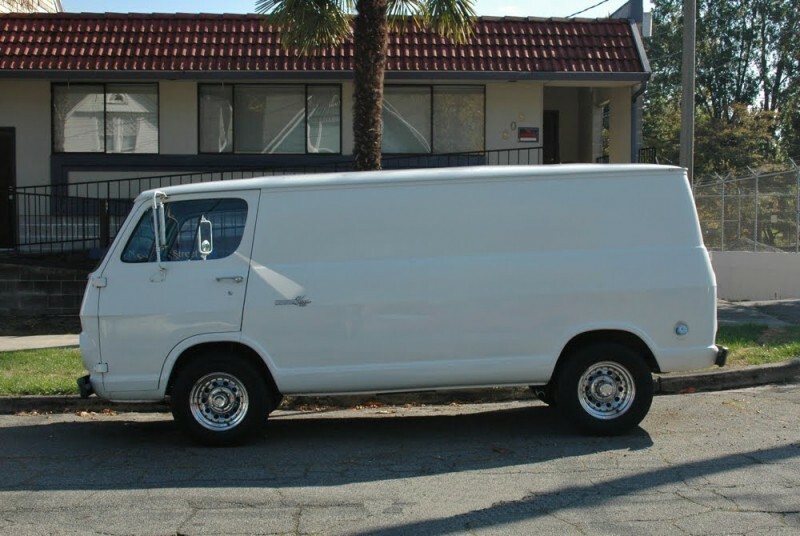 1970 г.
Chevrolet Chevy Van 5.0 МТ G10 LWB 3MT Fourgon 3MT 160 л.с. 1983 г. 1986 г.
Chevrolet Chevy Van 5.7 3МТ G10 3MT Fourgon 3MT 170 л.с. 1970 г. 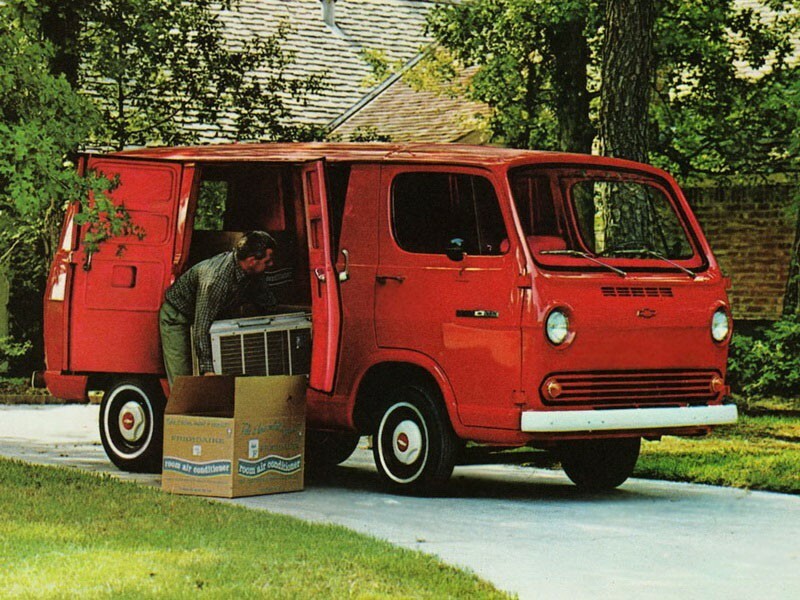 1970 г.
Chevrolet Chevy Van 5.7 3МТ G20 3MT Fourgon 3MT 170 л.с. 1970 г. 1970 г.
Chevrolet Chevy Van 5.7 4МТ G10 4MT Fourgon 4MT 170 л.с. 1970 г. 1970 г.
Chevrolet Chevy Van 5.7 4МТ G20 4MT Fourgon 4MT 170 л.с. 1970 г. 1970 г.
Chevrolet Chevy Van 5.7 AT G10 3AT Fourgon 3AT 145 л.с. 1978 г. 1979 г.
Chevrolet Chevy Van 5.7 AT G10 3AT Fourgon 3AT 165 л.с. 1978 г. 1979 г.
Chevrolet Chevy Van 5.7 AT G10 LWB 3AT Fourgon 3AT 145 л.с. 1978 г. 1979 г.
Chevrolet Chevy Van 5.7 AT G10 LWB 3AT Fourgon 3AT 165 л.с. 1978 г. 1979 г.
Chevrolet Chevy Van 5.7 AT G20 3AT Fourgon 3AT 145 л.с. 1978 г. 1979 г.
Chevrolet Chevy Van 5.7 AT G20 3AT Fourgon 3AT 165 л.с. 1978 г. 1979 г.
Chevrolet Chevy Van 5.7 AT G20 LWB 3AT Fourgon 3AT 145 л.с. 1978 г. 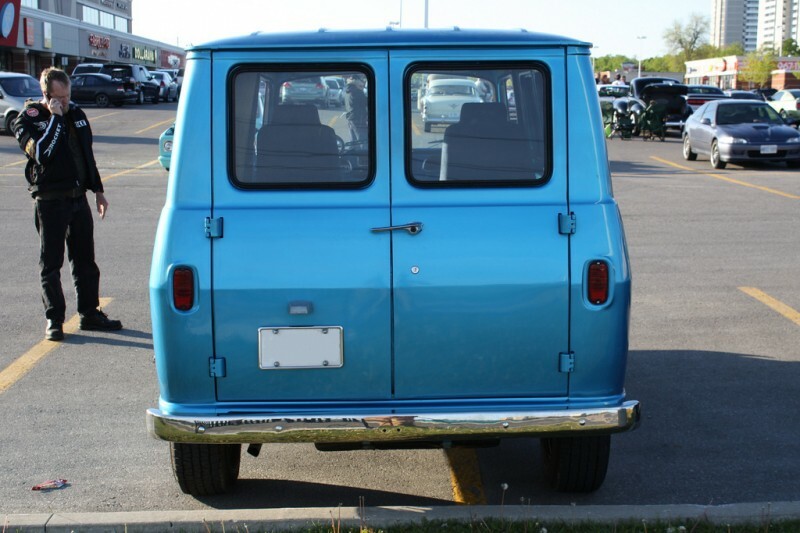 1979 г.
Chevrolet Chevy Van 5.7 AT G20 LWB 3AT Fourgon 3AT 165 л.с. 1978 г. 1979 г.
Chevrolet Chevy Van 5.7 AT G30 3AT Fourgon 3AT 145 л.с. 1978 г. 1979 г.
Chevrolet Chevy Van 5.7 AT G30 3AT Fourgon 3AT 165 л.с. 1978 г. 1979 г.
Chevrolet Chevy Van 5.7 AT G30 3AT Fourgon 3AT 165 л.с. 1980 г. 1982 г.
Chevrolet Chevy Van 5.7 AT G30 3AT Fourgon 3AT 175 л.с. 1980 г. 1982 г.
Chevrolet Chevy Van 5.7 AT G30 3AT Fourgon 3AT 165 л.с. 1983 г. 1986 г.
Chevrolet Chevy Van 5.7 AT G30 3AT Fourgon 3AT 185 л.с. 1983 г. 1986 г.
Chevrolet Chevy Van 5.7 AT G30 3AT Fourgon 3AT 195 л.с. 1987 г. 1991 г.
Chevrolet Chevy Van 5.7 AT Overdrive G10 4AT Fourgon 4AT 195 л.с. 1992 г. 1996 г.
Chevrolet Chevy Van 5.7 AT Overdrive G20 4AT Fourgon 4AT 195 л.с. 1992 г. 1995 г.
Chevrolet Chevy Van 5.7 AT Overdrive G20 4AT Fourgon 4AT 195 л.с. 1992 г. 1996 г.
Chevrolet Chevy Van 5.7 AT Overdrive G30 4AT Fourgon 4AT 165 л.с. 1983 г. 1986 г.
Chevrolet Chevy Van 5.7 AT Overdrive G30 4AT Fourgon 4AT 185 л.с. 1983 г. 1986 г.
Chevrolet Chevy Van 5.7 AT Overdrive G30 4AT Fourgon 4AT 195 л.с. 1983 г. 1986 г.
Chevrolet Chevy Van 5.7 AT Overdrive G30 4AT Fourgon 4AT 195 л.с. 1987 г. 1991 г.
Chevrolet Chevy Van 5.7 AT Overdrive G30 4AT Fourgon 4AT 195 л.с. 1992 г. 1995 г.
Chevrolet Chevy Van 5.7 AT Overdrive G30 4AT Fourgon 4AT 195 л.с. 1992 г. 1996 г.
Chevrolet Chevy Van 5.7 AT Overdrive G30 LWB 4AT Fourgon 4AT 195 л.с. 1992 г. 1995 г.
Chevrolet Chevy Van 5.7 AT Overdrive G30 LWB 4AT Fourgon 4AT 195 л.с. 1992 г. 1996 г.
Chevrolet Chevy Van 5.7 MT G10 3MT Fourgon 3MT 145 л.с. 1974 г. 1977 г.
Chevrolet Chevy Van 5.7 MT G10 3MT Fourgon 3MT 145 л.с. 1978 г. 1979 г.
Chevrolet Chevy Van 5.7 MT G10 3MT Fourgon 3MT 165 л.с. 1978 г. 1979 г.
Chevrolet Chevy Van 5.7 MT G10 LWB 3MT Fourgon 3MT 145 л.с. 1973 г. 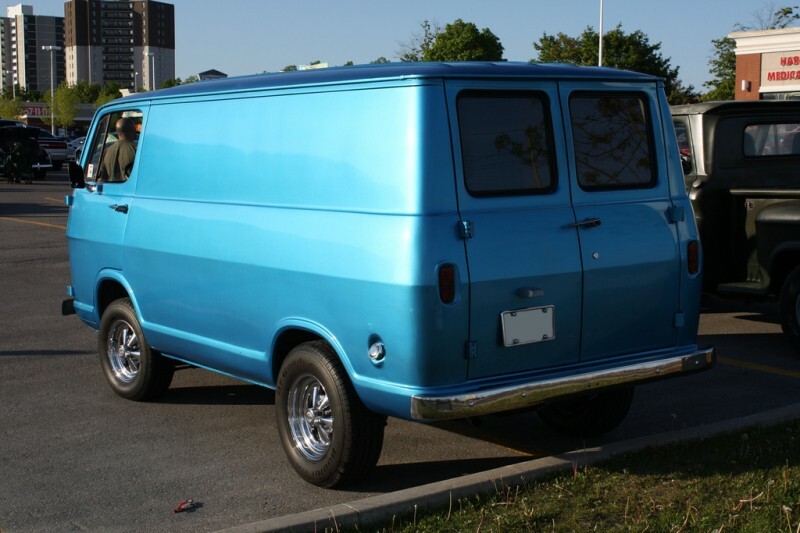 1977 г.
Chevrolet Chevy Van 5.7 MT G10 LWB 3MT Fourgon 3MT 165 л.с. 1974 г. 1977 г.
Chevrolet Chevy Van 5.7 MT G10 LWB 3MT Fourgon 3MT 145 л.с. 1978 г. 1979 г.
Chevrolet Chevy Van 5.7 MT G10 LWB 3MT Fourgon 3MT 165 л.с. 1978 г. 1979 г.
Chevrolet Chevy Van 5.7 MT G20 3MT Fourgon 3MT 165 л.с. 1973 г. 1977 г.
Chevrolet Chevy Van 5.7 MT G20 3MT Fourgon 3MT 145 л.с. 1978 г. 1979 г.
Chevrolet Chevy Van 5.7 MT G20 3MT Fourgon 3MT 165 л.с. 1978 г. 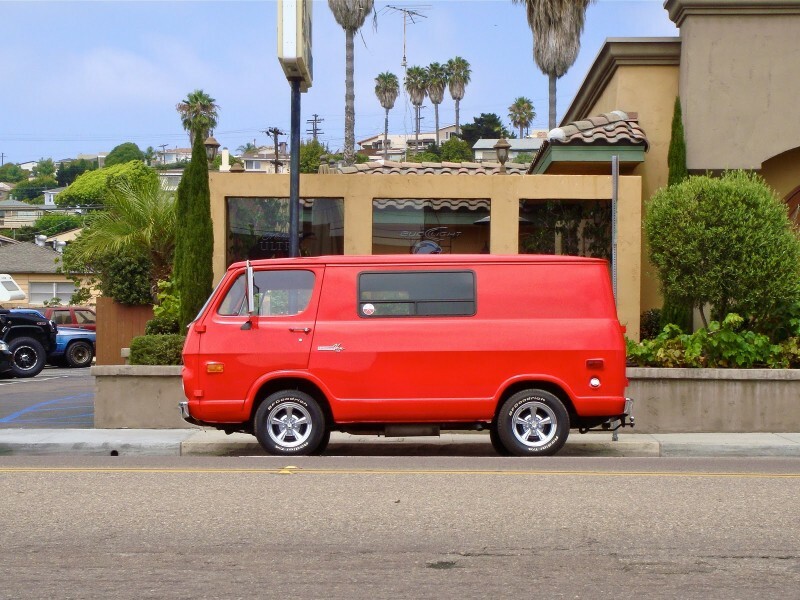 1979 г.
Chevrolet Chevy Van 5.7 MT G20 LWB 3MT Fourgon 3MT 165 л.с. 1973 г. 1977 г.
Chevrolet Chevy Van 5.7 MT G20 LWB 3MT Fourgon 3MT 145 л.с. 1978 г. 1979 г.
Chevrolet Chevy Van 5.7 MT G20 LWB 3MT Fourgon 3MT 165 л.с. 1978 г. 1979 г.
Chevrolet Chevy Van 5.7 MT G30 3MT Fourgon 3MT 165 л.с. 1973 г. 1977 г.
Chevrolet Chevy Van 5.7 MT G30 3MT Fourgon 3MT 145 л.с. 1978 г. 1979 г.
Chevrolet Chevy Van 5.7 MT G30 3MT Fourgon 3MT 165 л.с. 1978 г. 1979 г.
Chevrolet Chevy Van 5.7 MT G30 3MT Fourgon 3MT 175 л.с. 1980 г. 1982 г.
Chevrolet Chevy Van 5.7 MT G30 LWB 3MT Fourgon 3MT 165 л.с. 1973 г. 1977 г.
Chevrolet Chevy Van 5.7 Powerglide G10 2AT Fourgon 2AT 170 л.с. 1970 г. 1970 г.
Chevrolet Chevy Van 5.7 Powerglide G20 2AT Fourgon 2AT 170 л.с. 1970 г. 1970 г.
Chevrolet Chevy Van 5.7 Turbo Hydra-matic G10 3AT Fourgon 3AT 170 л.с. 1970 г. 1970 г.
Chevrolet Chevy Van 5.7 Turbo Hydra-matic G10 3AT Fourgon 3AT 145 л.с. 1974 г. 1977 г.
Chevrolet Chevy Van 5.7 Turbo Hydra-matic G10 LWB 3AT Fourgon 3AT 145 л.с. 1973 г. 1977 г.
Chevrolet Chevy Van 5.7 Turbo Hydra-matic G10 LWB 3AT Fourgon 3AT 165 л.с. 1974 г. 1977 г.
Chevrolet Chevy Van 5.7 Turbo Hydra-matic G20 3AT Fourgon 3AT 170 л.с. 1970 г. 1970 г.
Chevrolet Chevy Van 5.7 Turbo Hydra-matic G20 3AT Fourgon 3AT 165 л.с. 1973 г. 1977 г.
Chevrolet Chevy Van 5.7 Turbo Hydra-matic G20 LWB 3AT Fourgon 3AT 165 л.с. 1973 г. 1977 г.
Chevrolet Chevy Van 5.7 Turbo Hydra-matic G30 3AT Fourgon 3AT 165 л.с. 1973 г. 1977 г.
Chevrolet Chevy Van 5.7 Turbo Hydra-matic G30 LWB 3AT Fourgon 3AT 165 л.с. 1973 г. 1977 г.
Chevrolet Chevy Van 6.2 D AT G20 3AT Fourgon 3AT 130 л.с. 1983 г. 1989 г.
Chevrolet Chevy Van 6.2 D AT G20 3AT Fourgon 3AT 145 л.с. 1990 г. 1991 г.
Chevrolet Chevy Van 6.2 D AT G20 LWB 3AT Fourgon 3AT 145 л.с. 1983 г. 1989 г.
Chevrolet Chevy Van 6.2 D AT G30 3AT Fourgon 3AT 130 л.с. 1983 г. 1989 г.
Chevrolet Chevy Van 6.2 D AT G30 3AT Fourgon 3AT 145 л.с. 1990 г. 1991 г.
Chevrolet Chevy Van 6.2 D AT Overdrive G30 4AT Fourgon 4AT 130 л.с. 1983 г. 1989 г.
Chevrolet Chevy Van 6.2 D AT Overdrive G20 4AT Fourgon 4AT 130 л.с. 1983 г. 1989 г.
Chevrolet Chevy Van 6.2 D AT Overdrive G20 4AT Fourgon 4AT 145 л.с. 1990 г. 1991 г.
Chevrolet Chevy Van 6.2 D AT Overdrive G20 4AT Fourgon 4AT 145 л.с. 1992 г. 1993 г.
Chevrolet Chevy Van 6.2 D AT Overdrive G30 4AT Fourgon 4AT 145 л.с. 1990 г. 1991 г.
Chevrolet Chevy Van 6.2 D AT Overdrive G30 4AT Fourgon 4AT 155 л.с. 1992 г. 1993 г.
Chevrolet Chevy Van 6.2 D AT Overdrive G30 LWB 4AT Fourgon 4AT 155 л.с. 1992 г. 1993 г.
Chevrolet Chevy Van 6.2 D MT Overdrive G20 4MT Fourgon 4MT 130 л.с. 1983 г. 1989 г.
Chevrolet Chevy Van 6.5 D AT Overdrive G20 4AT Fourgon 4AT 155 л.с. 1994 г. 1995 г.
Chevrolet Chevy Van 6.5 D AT Overdrive G20 4AT Fourgon 4AT 155 л.с. 1994 г. 1996 г.
Chevrolet Chevy Van 6.5 D AT Overdrive G30 4AT Fourgon 4AT 160 л.с. 1994 г. 1995 г.
Chevrolet Chevy Van 6.5 D AT Overdrive G30 4AT Fourgon 4AT 160 л.с. 1994 г. 1996 г.
Chevrolet Chevy Van 6.5 D AT Overdrive G30 LWB 4AT Fourgon 4AT 160 л.с. 1994 г. 1995 г.
Chevrolet Chevy Van 7.4 AT Overdrive G30 4AT Fourgon 4AT 230 л.с. 1990 г. 1991 г.
Chevrolet Chevy Van 7.4 AT Overdrive G30 4AT Fourgon 4AT 230 л.с. 1992 г. 1995 г.
Chevrolet Chevy Van 7.4 AT Overdrive G30 4AT Fourgon 4AT 230 л.с. 1992 г. 1996 г.
Chevrolet Chevy Van 7.4 AT Overdrive G30 LWB 4AT Fourgon 4AT 230 л.с. 1990 г. 1991 г.
Chevrolet Chevy Van 7.4 AT Overdrive G30 LWB 4AT Fourgon 4AT 230 л.с. 1992 г. 1995 г.
Chevrolet Chevy Van 7.4 AT Overdrive G30 LWB 4AT Fourgon 4AT 230 л.с. 1992 г. 1996 г.